Dr. Kindell presents an examination of numerous physical processes in our galaxy, in our solar system, and on the earth that indicate that the Biblical age of the earth is correct. 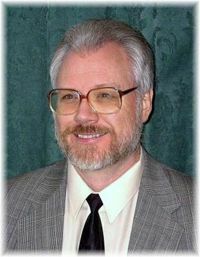 Dr. Kindell is the founder and president of Reasons for Faith Ministries, Inc., a non-profit ministry dedicated to equipping Christian believers to “give every man an answer” for their Biblical faith (http://kindell.nwcreation.net/). He is a licensed Assemblies of God evangelist and is the only credentialed Assemblies minister devoted to full-time teaching of Creation-Science apologetics. He is a member of the Oregon Design Science Association and is a lifetime sustaining member of the Creation Research Society. For over twenty-eight years he has engaged in a traveling teaching ministry lecturing on Biblical apologetics and the scientific case for creation. Dr. Kindell is available for speaking engagements full-time on a free will offering basis throughout the United States and abroad. His seminars have been enthusiastically endorsed by Dr. Duane T. Gish, Senior Vice‑President Emeritus of the Institute for Creation Research. He has also successfully debated the scientific case for creation against notable evolutionists on high school and college campuses, radio, and television. Dr. Kindell is a frequent guest on the radio series “Science, Scripture & Salvation” which is produced by the Institute for Creation Research. He is the author of the acclaimed book, Evolution on Trial.